It is impossible to imagine a current Supreme Court justice being forged in such circumstances—with the survival of the nation, as well as of the multitudes fighting, so uncertain. In part because of changes that Holmes himself brought to the law, and ultimately to the Court, it is now a very different institution from the one he served on. The lives of the justices appear distant from the experiences of their fellow citizens. Yet there are important parallels between Holmes’s era and the current one, and between the challenges for the Court in his time and now. A century ago, as today, politics splintered the nation and inequality segregated it. The Court was subject to ideology, unchecked partisanship, and the kind of political warfare expected only in high-stakes campaigns. In these circumstances, Budiansky’s new Oliver Wendell Holmes: A Life in War, Law, and Ideas—coming during the centennial year of Holmes’s most momentous opinion, which was a visionary dissent about free speech—is especially consequential. It’s the latest in a considerable library of biographies and studies. Many scholars have recognized the war’s critical influence on Holmes. Yet Budiansky, whose previous books include six on military history, renders Holmes’s war, and how it lodged in his psyche, as no writer has before. That outlook shaped his legal thinking, and in turn, shaped a set of principles for the law and the Supreme Court that are now valuable to reconsider. More broadly, Budiansky’s is now the most engrossing of the major Holmes biographies. It vibrantly recounts the influence on his extraordinary public experiences of his extraordinary private ones. The result matters because, as Warren professor of legal history emeritus Morton J. Horwitz put it, Holmes was the “one great American legal thinker.” He was the first member of the Supreme Court to face up to the reality that, contrary to what nineteenth-century legal thinking held, justices were not oracles who divined principles of law. In applying law to facts, he made clear, they were law-makers, unconstrained by law itself—a role society would accept only if these law-makers were not tainted by partisanship. For 40 years, from the end of the nineteenth century to the end of the Great Depression, including Holmes’s time on the Court, a conservative majority (it did not include him) repeatedly struck down federal and state laws regulating social and economic conditions intended to improve the lives of America’s have-nots. The conservatives did that because of their policy views: they objected to what they saw as unjustified government meddling in the market. Today’s Court continues on a similar, half-century-long move to the right. It’s unsurprising that, in the past two terms, Chief Justice John G. Roberts Jr. ’76, J.D. ’79, has joined a few times with the liberal justices to make five-vote majorities—about as often as he did in his first 12 terms on the Court. He has assumed its swing-vote seat as a result of its right-ward movement and his concern about its reputation for partisanship. The Court is widely seen as partisan in this way: the justices (five Republican-picked conservatives, four Democrat-picked liberals) have regularly voted in the most divisive cases as they would be expected to, based on what members of the party of the president who picked each justice likely want to happen. As a justice, Holmes did what current justices seldom seem to: in dissent, he regularly voted to uphold laws whose policy impact he despised. The approach he employed to justify his decisions and preserve their legitimacy was judicial restraint: except in rare instances, he believed, courts should uphold laws as long as they had a reasonable basis, because they reflected the will of the community enacted by elected legislators. Between his tenure and now, judicial restraint became a political slogan, invoked by conservatives who disliked the liberal judicial activism of the Warren Court of the 1950s and ’60s, and by liberals who have disliked the conservative judicial activism of the Burger, Rehnquist, and Roberts courts since the 1970s. For Holmes, judicial restraint was a professional imperative, the key to reconciling the role of the independent judge in assessing the lawfulness of democratically arrived-at laws in an undemocratic way. In taking that stance, he redefined the position of an American justice. He has bedeviled Holmes scholars who have struggled to reconcile his powerful analytic bent with his recognition that the world intrudes on ideals. Some have savagely faulted some of his opinions and prejudices. But in this centennial year of the 1919 Holmes judicial opinion that redefined the purpose of free speech in American life, it’s illuminating to recall how he became, with Chief Justice John Marshall, one of the two most illustrious justices to serve on the Supreme Court. Holmes’s anti-exceptionalism helped define what made the United States exceptional in the twentieth century. In the decade after the Civil War, in the intellectual precincts of Brahmin Boston where he was born and bred an aristocrat, Holmes constructed ideas with other gifted thinkers, and helped shape pragmatism, the most American of America’s contributions to philosophy. It was “an idea about ideas,” Menand wrote, which “changed the way Americans thought” and “changed the way Americans live.” These thinkers believed, as he wrote, that ideas—“like forks and knives and microchips”—are tools that groups of people “devise to cope with the world” and that “their survival depends not on their immutability but on their adaptability.” The test of an idea was its impact. The Civil War preserved the Union, but turned America into a different country. Menand emphasized, “For the generation that lived through it, the Civil War was a terrible and traumatic experience. It tore a hole in their lives. To some of them, the war seemed not just a failure of democracy, but a failure of culture, a failure of ideas,” because those ideas had become ideologies, “either justifying the status quo” in the South or “dictating some transcendent imperative for renouncing it” in the North. In Boston, Holmes practiced law ably for 15 years. He argued maritime, insurance, and tax cases for businesses before the U.S. District Court and the Massachusetts Supreme Judicial Court and won an admiralty case in the U.S. Supreme Court. He became a contributor to the newly launched American Law Review and, in a few years, its co-editor. 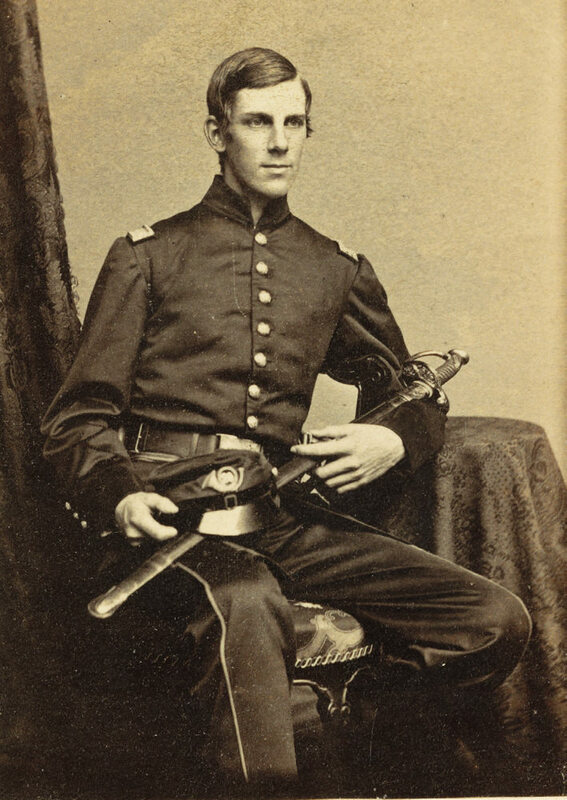 With James B. Thayer, class of 1852, LL.B. ’56, a prominent Boston lawyer who became an influential professor at the law school, he undertook a revision of Kent’s Commentaries on American Law, spanning the scope of the law. He completed the work in 1874, when he turned 33. In 1879, describing the scope of his ambition in a letter to an English legal colleague, he noted that the articles he had been writing for the American Law Review, “though fragmentary in form and accidental in order are part of what lies as a whole in my mind—my scheme being to analyze what seem to me the fundamental notions & principles of our substantive law.” He completed the job in the lectures that became a paradigm-shifting book. The Common Law, published in 1881, was Holmes’s giant contribution to the literature of pragmatism. The prevailing view about this form of law in the late nineteenth century was that judges didn’t make law, they expertly applied it from legal precedents and customs. Christopher Columbus Langdell, the law school’s dean for 25 years beginning in 1870, was a leading proponent of this view. His appointment as dean marked the start of the school’s national influence in American law. Budiansky calls The Common Law “the single most important book in the history of American legal scholarship,” as others have similarly praised it. The book inspired the movement known as Legal Realism, which focused on law’s concrete effects rather than its formalistic axioms, and it remade American law. On the strength of the book, Holmes rose from a part-time lecturer at the law school to a full-time, very short-term, faculty member in a new professorship endowed for him. At the end of 1882, after only his first academic term of full-time teaching, the Massachusetts Republican governor, who was about to be replaced by a Democrat, offered Holmes a seat on the state’s Supreme Judicial Court—and gave him an hour and a half to make up his mind. He instantly accepted. In December 1882, at 41, Holmes became the court’s junior justice. Imbeciles, the 2016 book by Adam Cohen ’84, J.D. ’87, a one-time president of the Harvard Law Review, uses Holmes’s role in the Buck case as the basis for a biting indictment of the eugenics movement and, more pointedly, of Holmes (see “Harvard’s Eugenics Era,” March-April 2016, page 48). “In Holmes’s view,” Cohen wrote, “life was naturally competitive and cruel, and he had little inclination to rein in its harsh injustices.” A crucial source of Cohen’s grievance is the chasm he perceived between the “true Holmes” and the justice with the reputation for “transcendent nobility.” Part of that was that Holmes was not “a progressive”—a liberal—despite being known as that. He had no sympathy for the downtrodden. Budiansky calls the Buck case “the one that would cast the longest shadow over” Holmes’s name. For the justice, he says, the case was not difficult because the decision to sterilize Buck was based on a Virginia statute authorizing that practice by state institutions on people who had “idiocy, imbecility, feeblemindedness” or “hereditary forms of insanity,” and the law allowed an inmate or her guardian to contest a decision to sterilize, as a lawyer for Buck had done, futilely. In defense of Holmes, Budiansky writes that he didn’t know Buck’s appeal “had been largely a sham” because of blatant conflicts of interest of the lawyer who represented her. He did not challenge bogus testimony that Buck, her mother, and her seven-month-old daughter were feebleminded. Had Holmes been aware of the collusive nature of the appeal, Budiansky thinks, “he might very well have taken a different view of the matter.” But more broadly, Holmes was not a liberal, and didn’t pretend to be one: he was willing, Budiansky writes, “to uphold the rights of unions, free speech for socialists, and regulation of the economy not from any ideological sympathy for liberal causes but often in spite of a magnificent contempt for them,” because he practiced restraint. His Buck opinion wrenchingly shows he was sometimes as captive of the era he lived in as he called out other judges for being: prejudices that judges share with others, he stressed, can override reason in court rulings. Providing the fullest measure of Holmes’s life yet, Budiansky makes a sympathetic-to-Holmes and convincing case that the justice should not be dismissed based on the worst opinion he wrote. The Supreme Court was a much less powerful institution in Holmes’s era than it is today. It was a forum of last resort, correcting lower-court mistakes, as it had done for 135 years, required to hear appeals about all federal cases. That changed fundamentally with the Judiciary Act of 1925, which Chief Justice (and former president) William Howard Taft got passed to reduce the justices’ heavy workload. It drastically cut mandatory jurisdiction, gave the Court control over most of its docket, and redefined it as a co-equal branch of the federal government, symbolized by the majestic building that Taft got the government to construct for it, which opened in 1935. As the legal scholar Robert Post ’69, Ph.D. ’80, has explained, “Supreme Court opinions both reflect and constitute the role of the Supreme Court itself.” In most of the days of the Taft Court, they were written for the litigants in the case and largely concerned private legal matters. The law was “fixed and certain” because 9-0 opinions were routine: 84 percent of that Court’s opinions were unanimous. Opinions were “relatively short and succinct.” Now, opinions are much longer, written for the American public and the legal academy, and largely concerned with developing American law. They are also generally splintered: last term, the justices were in total agreement in only 26 percent of the cases they decided. The Judiciary Act sparked what Post called “a revolution in the practice of dissent,” reflecting the transformation of the Court’s mission to shaping law “to achieve social purposes.” The ratio of majority opinions to dissents Holmes wrote in almost three decades on the Court was 12 to one. As Budiansky reports, he was “one of the justices most likely, in the interest of collegiality and unanimity, to go along with an opinion he had initially opposed.” Yet Holmes is properly known as the Great Dissenter. He wrote dissents that foresaw where American law would go. He was a modern justice on a bench that turned over completely after he retired, with nine new justices soon comprising a new—and modern—Court. The most famous Holmes dissent—the one that best displays his pragmatic bent, and his commitment to restraint over ideology—came in Lochner v. New York, in 1905, during his third term on the Court. By 5-4, the Court struck down a New York State statute that regulated sanitary and working conditions in bakeries, limiting work to 10 hours a day and 60 hours a week, on the grounds that the hour limits were “an illegal interference with the rights of individuals, both employers and employees, to make contracts regarding labor upon such terms as they may think best.” For decades, the conservative majority had struck down scores of state and federal laws they disagreed with, as the results of democracy run amok. They did so on grounds that the Constitution allowed no government regulation of the economy or private property except when that was essential to protect public health or safety, because of what they called liberty of contract. Holmes avowed that “a constitution is not intended to embody a particular economic theory, whether of paternalism and the organic relation of the citizen to the State or of laissez faire,” as in Lochner. High-profile subjects on which the Court came around to Holmes’s view included: upholding legislation regulating the wages and hours of workers and banning child labor; restricting yellow-dog contracts, which required workers to quit or not to join unions, and restricting injunctions against workers; ensuring fair trials for unpopular defendants; and protecting consumers. In 2019, Holmes’s most monumental dissent is in the spotlight, because of the centennial of Abrams v. United States. By 7-2 in 1919, the Supreme Court upheld the conviction of five Russian Jewish anarchists under the 1918 Sedition Act, for interfering with the U.S. effort in World War I and criticizing the form of the U.S. government. The five committed their crimes in Manhattan by distributing 5,000 copies of two leaflets, one in Yiddish, the other English. They called the president a liar for deceiving the American people about U.S. war efforts to crush the Russian Revolution, and called for a strike in factories making munitions. Three other justices took the unprecedented step of visiting Holmes at home to try in vain to talk him out of dissenting and, in their view, imperiling the safety of the nation. The story about how, at 78, after 37 years on the bench, Holmes changed his mind about the meaning of free speech and the need for the Court to strengthen its protection deserves its own book. Thomas Healy, a legal scholar, published it in 2013, a wonderful history called The Great Dissent. He wrote that “with the country gripped by fear of the communist threat, Holmes was proposing something radical: an expansive interpretation of the First Amendment that would protect all but the most immediately dangerous speech.” Holmes had long supported the view that the government could punish speech that had no more than “a bad tendency”—the words might harm the public welfare at some point in the future, by inciting a crime or even just embarrassing a court. A decade later in another celebrated dissent, Holmes distilled his understanding of freedom of expression to the tenet on which the law still centers: “[I]f there is any principle of the Constitution that more imperatively calls for attachment than any other, it is the principle of free thought—not free thought for those who agree with us, but freedom for the thought that we hate.” Today, this tenet and every aspect of the freedom of speech are being contested, especially whether this prime right remains sacrosanct. Scholars and others are arguing ardently about how best to protect American speech so it serves the function that Holmes defined, without irreparably dividing the country—especially through fiery, intolerant reaction on social media to hated thought. Free-speech campaigns invariably extol individuals whose freedom to express hated speech is in jeopardy. But to Holmes, that freedom is tied to the interests of society, not to an individual right: free speech is a listener’s right as much as a speaker’s. Democracy depends on deliberation and even, as Holmes demonstrated in the Abrams case, on doubting “one’s own first principles.” With that dissent, he helped launch a nation-defining movement. He tackled a decisive challenge for the twentieth century that is again decisive for the twenty-first: how to safeguard speech, for the sake of American democracy. From early in his legal career, Holmes emphasized that the American Republic is an experiment in self-government. His skeptical side made him doubt that the American people would regularly make wise choices about the nation’s needs. But as a soldier, he had felt a duty to risk his life for the Union and the continuation of the experiment. As a justice, mindful of the mayhem that the Civil War unleashed, he believed that the contribution he could make, as the legal historian Robert W. Gordon ’67, J.D. ’71, explained, was to help maintain the experiment’s essential framework and fairness. A formal portrait taken around 1930, the year before Holmes turned 90. He served on the Supreme Court until January 1932, retiring as the oldest justice in its history. That meant protecting free speech so the strongest ideas would prevail in the marketplace, without government distortion of the competition or censorship of frightening ideas. That meant letting unions promote their interests and advocate for their members, the way capitalists could theirs. That meant encouraging evenhanded contests among all competing claims, even of unpopular defendants, and keeping entrenched interests from rigging the rules. In reconsidering Holmes’s invaluable life, Budiansky has performed the invaluable service of reminding Americans that the conservative Holmes insisted on the importance of those liberal principles. Those principles of Holmes, for the sake of the Constitution, the American experiment, and basic fairness, remain eloquent and indispensable—including in challenging the current Court’s over-protection of big corporations, pushback against well-grounded economic and social regulation, and favoritism for haves over have-nots. What made Holmes the Great Dissenter a century ago would no doubt make him a Great Dissenter today. Contributing editor and journalist Lincoln Caplan ’72, J.D. ’76, a senior research scholar at Yale Law School and the senior editor at the Knight First Amendment Institute of Columbia University, was a colleague of Stephen Budiansky at U.S. News & World Report. “The Political Solicitor General,” his feature about the role of the S.G. and the politicization of the Supreme Court, appeared in this magazine’s September-October 2018 issue.